First of all, welcome to A House to Call Home and thanks for visiting! I’m Georgie, the face behind A House to Call Home, and I live in Hampshire with my boyfriend, Greg. We’ve just bought our first home together, and to say it is a fixer-upper is the understatement of the year. Nonetheless, we love it and are slowly (really bloody slowly) restoring it to its former glory. I started A House to Call Home as a creative outlet away from my boring desk job and for our families to follow our renovation progress. As it turns out people quite enjoy reading it (I know, I’m confused too) so I guess I had better carry on. 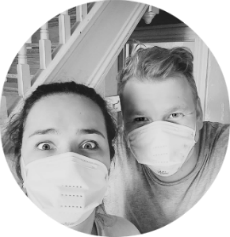 You’ll see that I blog mostly about our renovation, DIY projects and how we’re doing it on a budget, as well as little snippets into my life and my totally unqualified opinions on interior design and home décor. Keeping up with a blog whilst working full-time is a challenge so I’m way more active on Instagram – come and say “Hi” over there for more pictures and progress updates. If you enjoy the blog, you can always subscribe or follow – that way you’ll never miss a post and will make me do a little happy dance. You know, or not. Thanks again for visiting, I hope you enjoy having a good browse and I see you again soon.